In this course you'll easily discover how to easily embed quality into the fabric of your writing - into your article, essay, cover letter, blog or corporate report. You'll be able to appreciate how writing can be beautiful one minute or mundane the next. 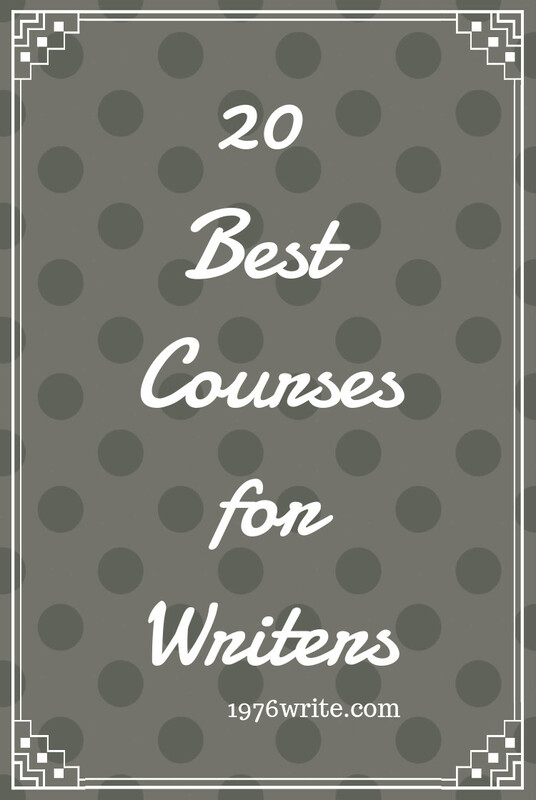 With easy-to-digest key principles alongside strategic exercises this course will help mold you into a masterful writer rapidly. You'll be forever equipped with simple principles that can turn any middling writing piece into something polished and noteworthy. Learn how to look at your writing with an exact eye. Heather Saunders an experienced writer, proofreader and editor gives you hands-on advice on how to use the proofing process and the common errors to you should be looking out for. This is a preliminary course that will give you an impressive groundwork for exploring your writing. The foundation for an exclusive writing system that is designed to improve your writing skills in as little as a few weeks. With revealing information that will have an instant impact on the quality of your writing. 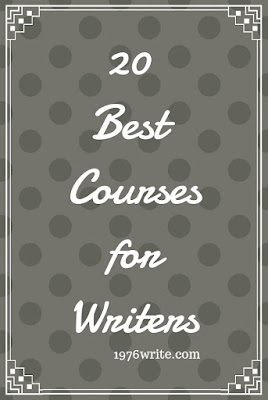 A no-nonsense course full of advice on how to lure people with the written word. Learning key principles that can be employed to most types of non-fiction writing. Discover how top editors do their magic. Learn how to skilfully edit just about any type of non-fiction writing, as well as your own writing. Hal Ackerman, has been teaching screenwriting at UCLA since 1985, and sold his material to all the broadcast networks, as well as authored well-known books, offers you actionable insights on developing your concepts and turning your ideas into a compelling and complete script. In this new age of publishing become your own start up and discover how to sell your book to the right market. Self-published author and book marketing expert Tim Grahl teaches you how to help your book finds its audience. Become the writer you want to be by conquering your self-doubt. Teacher and author Jennifer Louden will demonstrate specific exercises and techniques to help you overcome guilt, procrastination, as well as silence your inner critic and value your own ideas so you can get some real work done. Author, speaker and instructor Lisa Cron will show you how to create real riveting emotion that both shapes your plot and captivates your readers. Revising and proofreading strategies that will help take your writing from good to great. Become proficient in identifying and correcting mistakes in your grammar, This course is run by S.J. Lawrence, PhD who has nearly 15 years experience writing in both high school and college. Author Davie Ursillo will help guide you through the things that influence you emotionally and creatively. He'll then take you through an actionable plan you can put into place so that you can achieve your literary goals. Build your own profitable Self-Publishing Business with Kindle eBooks and Paperbacks. Turn dry, disorganised clunky text into clearly written beautifully presented prose. Discover the technique of "deep editing", only known to an inner circle of exceptional editors in this masterclass on editing brought to you by Shani Raja. Writing a bio can seem a painful task at times, it's not easy summing up your life, your entire being in one small paragraph. How do you know what to put in and what to take out? This fun class created by Melissa Cassera , an experienced brand and marketing consultant for both small and large businesses, will teach you how to connect to your readers and convert them into customers and clients. Being productive and focused as a writer can be a real struggle. Jessica Brody, bestselling author and screenplay writer for over 10 years tells you the secrets of her creative process. Tyler Speegle a professional copywriter and freelance writer will show you some of the best free writing tools that are all 100% absolutely free online and gives you the inside scoop on some helpful hacks to make the most of them. In today's world where a more casual use of language is used, being able to produce an error-free resume, website or email is still expected. This course provides practical application of skills along with hands-on exercises and quizzes to help you address the basic skill of proofreading. You might have the best products and services but without compelling content to drive those sales you're leaving a lot of business on the table. As a business or blogger it's critical that all of your articles and blog posts are thoughtfully prepared and put together. Melissa Cassera brings her vast knowledge of branding and marketing to the forefront when she shows you how to use Hollywood storytelling techniques to create enticing content that excites people enough to share and moves them to buy.